Before committing to the Whole30, one of the things that I was feeling really reluctant to change was my coffee. I love coffee, usually with cream and sugar, early in the morning when the house is quiet and everyone else is sleeping. It was my little sanctuary. My little calm before the storm, not to mention it’s delicious! Since sugar and dairy are not allowed on the Whole30 and I don’t enjoy my coffee black, I decided to at least figure out a compromise without feeding my sugar craving. 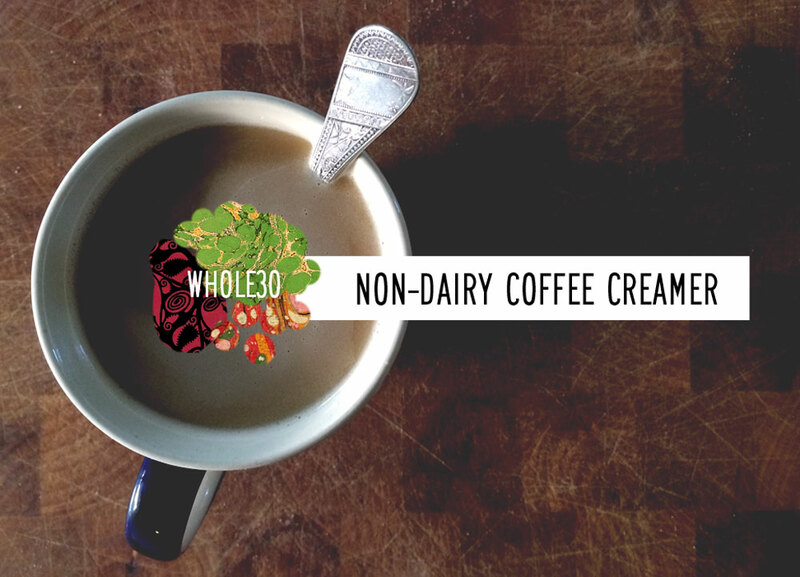 I’d heard about using canned coconut milk as creamer, and in my research came across this recipe for Primal Non-Dairy Coffee Creamer and I have to say that it’s pretty wonderful stuff. Basically, you mix one can of coconut milk, one egg, and two tablespoons of coconut oil into a blender or food processor, blend for about two minutes and that’s it! Put it into a jar and store it in the refrigerator. It will thicken when cooled, so it has to be scooped rather than poured into coffee (one thing I did notice is that it takes a good couple heaping spoonfuls to make my coffee as light as I prefer). Obviously, it’s not sweet but it gives the coffee a creamy enough texture to be enjoyable. I usually drink dark roast coffee, but the store didn’t carry my usual brand and Andrew (who does the grocery shopping) made an educated guess on an alternative. He got a medium roast and it was much lighter after adding the creamer, but just as good.